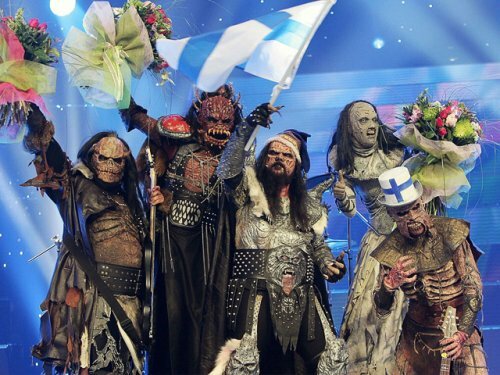 Anyway, here’s my attempt at digging into that Eurovision trivia seam for a few quizzing nuggets. I’ll post some regular questions today and some flashy, multimedia questions later in the week. In what year did ABBA first enter the Eurovision? Which country has won the title on the most occasions? Where did the first Eurovision take place? Teach-In won the 1975 contest for The Netherlands, with which song? In what year did four countries share the title? Celine Dion won the 1988 contest, for which country? In what year did the UK last win the Eurovision? Who was Ireland’s representative at Congratulations, the Eurovision’s 50 year retrospective event? As of 2008, which country has competed in the contest the most times without a win? Which nation has withdrawn from the 2009 contest after the EBU requested they change the lyrics of their chosen song?